Family Writers Press hereby alert the world of her two missing gallant journalists who were on ground in Enugu City in Enugu State of Biafra land to cover the Enugu State Local Government Area elections, which took place on November 4, 2017. These two gallant Family Writers Press field journalists are Mazi Egwuatu Chuks, who reside in same Enugu City, and Mazi Prince Dan who reside in Igweocha (Port Harcourt) Rivers State of Biafraland. These two gallant field journalists were in Enugu for the coverage of the above mentioned Enugu State LGA election. Both of them were in contact with the situation room of Family Writers Press till about 9. 00 AM, when the situation lost connection with Mazi Egwuatu Chuks and about 12 noon when through a phone call from Assistant Chief-Editor of Family Writers, we discovered that the situation room is no more linked with Mazi Prince Dan. Every frantic efforts by Family Writers Press to establish contacts with our missing correspondents yesterday was thwarted, because their communication lines were surprisingly switched off. However, our Intelligence officer resident in Enugu was able to locate the missing journalists today at the detention headquarters of Enugu state Special Anti-Rubbery Squad, SARS, who rebuffed every plea to have the illegally detained Family Writers Press correspondents released. It has also come to the notice of Family Writers Press, the pictures of our correspondents abducted by Nigeria SARS operatives, being circulated by various brown-envelope Nigerian online and print media platforms, which alleges that the illegally detained Family Writers journalists are the masterminders of the bomb blast that took place amid the heavily boycotted elections in Enugu yesterday. The reports are not only false but also a fictitious propaganda by Nigeria security agents and their evil media agents, as they launch their mapped out machinations to justify their baseless and backfiring terrorist tag on the Indigenous People Of Biafra, and as well, ensure the prolonged incarceration of our reputable journalists. To make it clear, it was the missing Mazi Egwuatu Chuks that reported the bomb blast in Coal Camp of Enugu to the situation room of Family Writers direct with pictorial evidences from the locus in quo in Coal Camp of Enugu. Few minutes after the report concerning the bomb blast, which he said verbatim that he was reporting from scene, the situation room did not hear from him again or get him on his phone line. In the case of Prince Dan who came from Igweocha(Port-Harcourt), to cover the election proceedings for Family Writers Press, the situation room noticed that he was missing when the call was placed to his phone from the Assistant Chief-Editor of Family Writers Press following a report that the police in Enugu arrested a person who looked exactly like him, as he was sensationally discharging his duty as a gallant journalist. Family Writers Press is by this Press release, alerting the world that our correspondents are currently undergoing all manner of inhumane torture in the hands of Nigeria security agents since they were abducted. 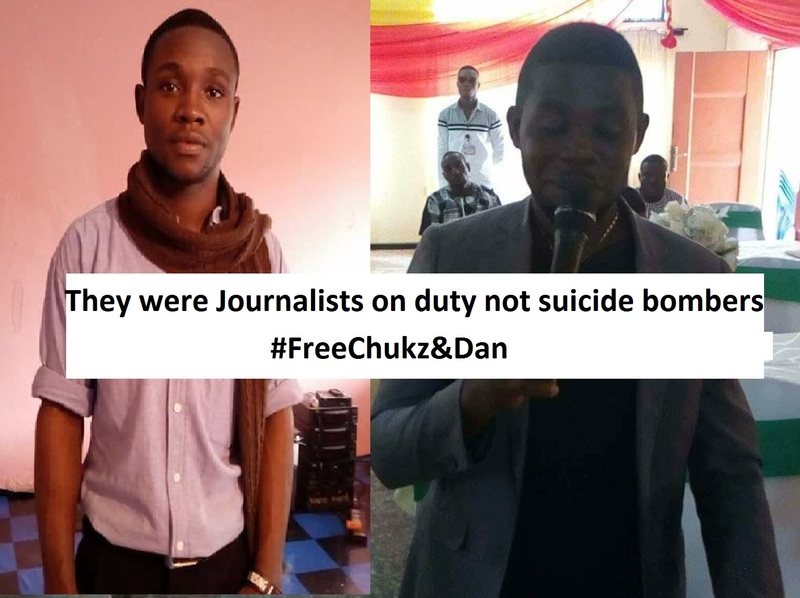 Family Writers Press is calling on the police to as a matter of urgency release them unconditionally and safely, because it is not a crime for a journalist to cover elections like the one which took place in Enugu.